Digtial Nomad mini trip: Seattle - Work ... Uncaged. We just recently took another baby step along our journey toward becoming digital nomads: a DigtialNomad mini trip to Seattle. This was for sure further than our trip to the local Botanic Garden. In this case, my wife was attending a conference in Seattle and I joined her for 4 days as her conference wrapped up. We both are able to work from anywhere and have projects we are working on. She had a lot of social media things to take care of for her business, and I was working on some blogging and spinning up a new app I’m planning to build. For us both there is a big draw toward becoming digital nomads. We still own a house and while we have talked much about traveling a lot more and working from places that fascinate us, we still need to clear up some of those things we’ve accumulated over the past 25 years. Since we are also a bit impatient we are using these shorter trips to mix work and leisure and give us a taste of the future. Our airfare was pretty reasonable. Since we live in Denver, we can frequently take advantage of some very affordable flights on Frontier. We’ve now managed to find round-trips for $100 or less a few times. There tend to be some restrictions on which dates you can travel, but since we are combining the travel with working, it’s pretty easy to accommodate any of the restrictions. A common one is not being able to travel on Sunday’s and Fridays. On previous trips to Seattle, we had stayed downtown. This time we decided that saving a bit of money and trying for a more residential fit was a better choice. To this end, we stayed in an Airbnb in North Beacon Hill. It was conveniently located about 5 minutes from the Link light rail. The money savings was a big motivator, but being in a neighborhood with a genuine local feel also mimicked what we both see as our future lifestyle much better. The Link light rail works very well. Installing the Transit Go app on the phone makes getting around on public transit very easy, convenient and affordable. For example, to get from North Beacon Hill to downtown Seattle was only $2.25 per person. As I mentioned, my wife has her own business. I have a full-time job. For this trip, I took some time off to work on things that hopefully will replace my day job at some point. Given that we wanted to combine a good amount of leisure into this trip, we only worked the morning. We enjoyed The Station and Fresh Flours Beacon Hill for our morning work sessions. As we wrapped up, we dropped our laptops at the Airbnb and took off to find lunch. One of our lunch highlights was The Pink Door. It’s not a budget place, but we were in no hurry and enjoyed a long and slow lunch here. It’s hard to go wrong with 3 courses, top quality seafood, a bottle of wine, and dessert. Both of us enjoy exploring on foot. So in addition to taking full advantage of the public transit system, we also did a lot of walking. 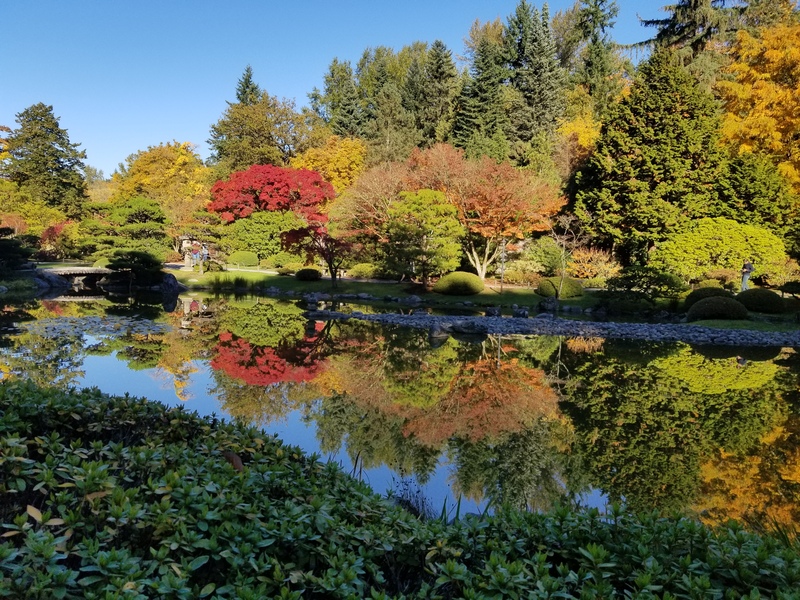 On our way to see the truly beautiful Seattle Japanese Garden, we happened across Araya’s Place. This vegan Thai restaurant was another winner. This one is quite affordable and very good. We also enjoyed dinner near our Airbnb. When you have some time and aren’t in a hurry, Travelers Thali House has some excellent and vegetarian Indian food on offer. 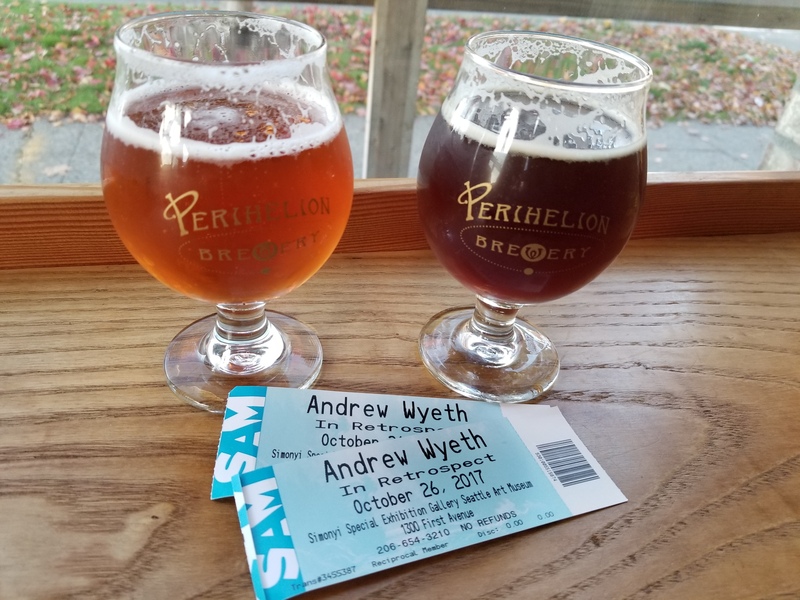 The other fun spot around North Beacon Hill we enjoyed was Perihelion Brewery. Their beer was very enjoyable and food wise it was well beyond the bar food you find in most brewery taprooms. It provided a great way to wrap up the day after a visit to the Seattle Art Museum. All in all, it was another great work and play mini trip, and we are inching closer to becoming true digital nomads.